Here you can find all info about Early Skunk Automatic from Sensi Seeds. If you are searching for information about Early Skunk Automatic from Sensi Seeds, check out our Basic Infos, Shop-Finder and Price Comparison or Lineage / Genealogy for this cannabis variety here at this page and follow the links to get even more information - or list all Early Skunk Strains (±12) to find a different version. If you have any personal experiences with growing or consuming this cannabis variety, please use the upload links to add them to the database! Early Skunk Automatic is an automatic flowering ruderalis/indica/sativa variety from Sensi Seeds and can be cultivated indoors and outdoors where the female, autoflowering plants need ±55 days from the seedling to the harvest. 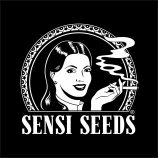 Sensi Seeds' Early Skunk Automatic is/was only available as feminized seeds. Our first Early Skunk was a revolution for outdoor growing, especially here in the northern latitudes. A grow-anywhere powerhouse, she was bred to flourish in short summers, to resist pests and fungus and to deliver knockout harvests! Early Skunk Automatic cannabis seeds bring the extra advantages of autoflowering, feminized traits to this outdoor strain. Early Skunk Automatic cannabis seeds are our latest refinement to this outstanding strain. These outdoor cannabis seeds produce plants whose autoflowering ability allows them to finish even earlier than their parent strain, and to bloom well in locations with erratic light cycles. The first Skunk varieties were released before indoor growing was widespread. Outdoor growers in continental climates often found it difficult to get the best out of these new, high potency indica-sativa strains. Skunk buds, being particularly dense, were prone to fungus at the end of summer. In theory, those first, non acclimatised Skunk hybrids were quick enough to finish flowering outdoors in the north. However, just as buds were reaching their fattest, ripest point, they could easily be ruined by the cool, wet weather of early autumn. To avoid this frustration, growers in northern summers often had little choice but to harvest their most exotic plants before they had reached their full budded potential. Sensi Seeds solved this problem by breeding Skunk #1 with our ever-reliable Early Pearl to create Early Skunk. In fact, the problem was solved in two different ways, since regular Early Skunk finishes flowering a good two weeks earlier than Skunk #1 outdoors, and is also resistant to mould and fungus. Plants grown from seed will begin flowering after a certain period of vegetative growth, rather than being triggered to flower by a short or declining photoperiod (light hours per day). For Early Skunk Automatic, this is usually around the time plants produce their 6th to 9th pair of full-sized leaves - which typically takes 6 to 8 weeks in decent growing conditions. Buds are generally at their ripest 7 to 9 weeks after flowering begins. Because vegetation time is set at around two months, growers can decide when to germinate their Early Skunk Automatic cannabis seeds so that the flowering period occurs during the sunniest months, instead of in late summer and autumn. This is especially useful in short summers, where the weather can turn bad well before the autumnal equinox. Early Skunk Automatic is an indica dominant strain with a sativa component that she inherits from both sides of her ancestry. Early Pearl is a mostly sativa outdoor strain, while Skunk #1, famously, has an indica dominated growth pattern and a strong sativa element in its effect. At harvest time, nearly all of this strain’s weight is in the large, solid buds massed around the upper nodes and bracts of each plant. The buds at the top of branches and the main stem will run together to form wide, rounded colas, while lower buds usually form solid individual clumps, giving Early Skunk Automatic a top-heavy appearance. Her maturing buds have a definite Skunk element to their scent - musky, sweet and pungent. Skunk strains of all types usually need their characteristic flowering odour to be controlled when growing indoors. Outdoors, this is much less of a concern, naturally. Up close, Early Skunk Automatic can exude a heady aroma when her copious resin glands are slightly disturbed, such as when growers are examining her ripening buds. At a greater distance, this seed strain should produce no more odour than any other cannabis variety growing outdoors. After drying, buds remain sticky due to a thick, velvety coating of resin glands. Their sweet Skunk aroma has sharp, spicy undertones from this variety’s extra sativa component. Our favourite, most potent examples have a more open flower structure and particularly large calyxes. Plants with a denser, more closed Afghani bud formation may yield slightly more per plant. Early Skunk Automatic has the warm, powerful, body-centred effect common to the Skunk family, which is improved by the smooth, buoyant high from her reinforced sativa lineage. When smoked or vaporized, her effects are immediate and long lasting - enough to satisfy experienced cannabis connoisseurs without being too overpowering for medicinal users or occasional smokers. If you’re looking for an easy, fast, feminized seed strain which will produce high potency buds in almost any environment and circumstance, look no further than Early Skunk Automatic seeds! With no need to worry about male plants or inducing flowering, this is a great strain for beginners. From a garden to a balcony, from a sunny, south-facing window to a far northern summer where the ‘midnight sun’ causes very unusual photoperiods - Early Skunk Automatic is the ideal choice! Where to buy Early Skunk Automatic cannabis seeds? Early Skunk Automatic from Sensi Seeds is available only as feminized seeds. Regular seeds are not available at the moment. In 13 seedbanks, we found 46 offers between USD 9.99 for 1 feminized seed and USD 763.79 for 100 feminized seeds. 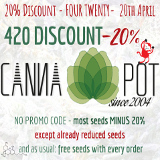 If you are looking to buy Early Skunk Automatic Cannabis Seeds from Sensi Seeds somewhere - have a look to our Early Skunk Automatic Price Comparison page with all current offers from all the connected seedbanks and shops - or visit one of the following tested, trustworthy and recommended seed-shops directly to check out their current Early Skunk Automatic offers: Cannapot Hanfshop, PEV Seeds Bank, Oaseeds, canna-seed.com, Zamnesia, Herbies Head Shop, Samenwahl.com, Canna-Seed Seed Shop, Linda Seeds | Linda Semilla, Alchimia Grow Shop, Discreet Seeds and Original Seeds Store. Click to show all parents of Early Skunk Automatic in our dynamic family tree map. Do you know something more about Sensi Seeds' Early Skunk Automatic? Please help to make this database better and upload/connect your information here! Pictures speak louder than words! Upload your "Early Skunk Automatic" Photos here and help other growers to get a better impression of this variety. You have grown Early Skunk Automatic together with another variety? Please fill out our Strain VS. Strain direct comparisation form! Our strain reviews are multilingual, searchable and can be very detailed - including data about the grow, aroma, effects and taste! Please upload your Early Skunk Automatic Review here to help the other seedfinder users! You have experience with the medical qualities of Early Skunk Automatic? Sharing your information here maybe can help other people! You've stumbled upon a Early Skunk Automatic related thread into a forum or growers community? Connect it here and enable othe users to find this information fast and easy! You found a related video with additional information or grow-infos about Early Skunk Automatic on YouTube? Please connect it here to the strain info page!